We are very excited to announce the immediate availability of Matomo (Piwik) 1.9. The ability to see exactly how visitors come to, traverse and exit your websites pages with the new Transitions plugin. 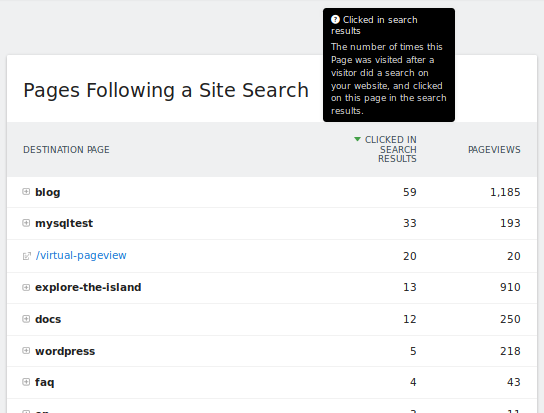 The ability to track how visitors use your website’s internal search mechanism with the new Site Search functionality. The ability to see what regions and cities your website visitors come from, as well as more accurate country tracking with the new GeoIP integration. In addition to these new game changing features, there is another smaller new feature and 12 bug fixes. 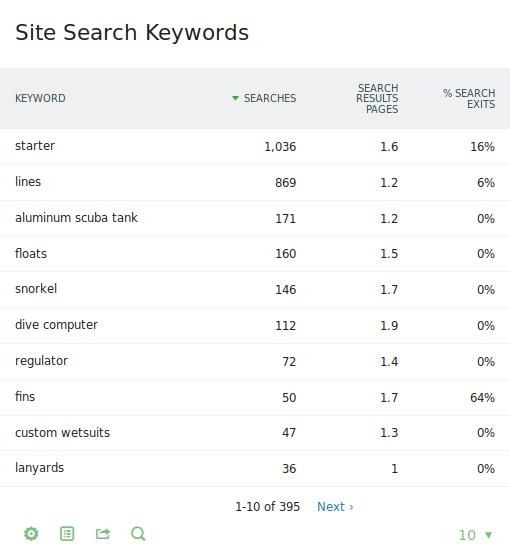 What search engine keywords lead to each of your website’s pages. Which websites refer visitors to which of your website’s pages. 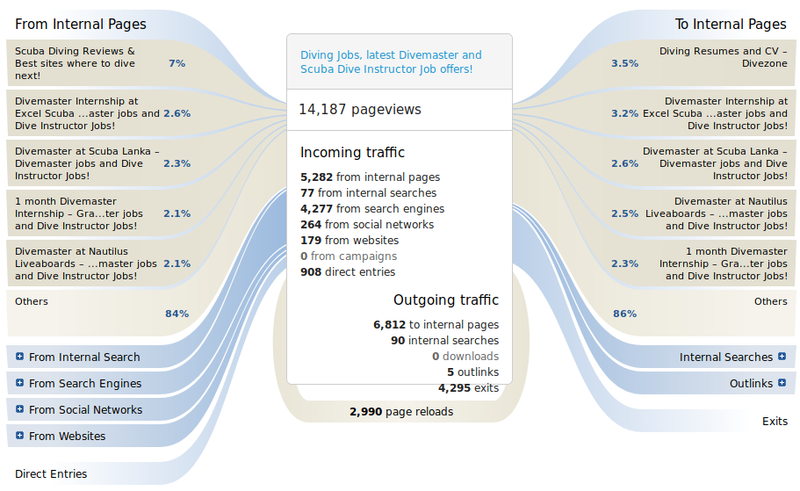 On what pages your visitors exited your website and whether they clicked an outlink to do so. What pages a visitor viewed before and after viewing a specific page. How many times a page was reloaded (in total). For more information on this amazing new feature, click here: Transitions / Click Path Analytics Documentation! Click here to see a demo of Transitions. These new reports work in Matomo Mobile App (have you tried our awesome mobile app yet? ), and these can also be added to the HTML/PDF Email reports. 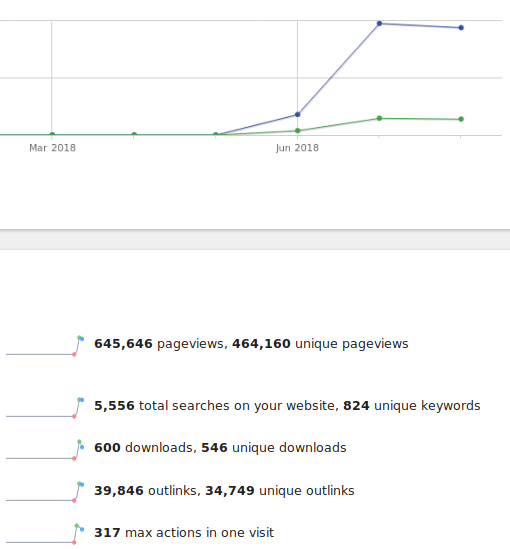 Learn more about Site Search Analytics in the documentation. And the last of the three new big features: we’ve finally integrated GeoIP with Matomo (Piwik). You will now be able to see country reports that are far more accurate, as well as two new reports that show your visitors’ regions and cities. One for cities, e.g. city=London;country=gb which will show data for visits in London. One for regions, e.g. region=A8;country=fr which will show data for visits within Ile-de-France, France. Note: the region codes, city codes, can be found in the API output for the new UserCountry.getCity and UserCountry.getRegion analytics apis. To get started using GeoIP, go to the new Geolocation admin tab and follow the instructions to set it up. The only thing you’ll need to do to get up and running, is download and install a GeoIP database from MaxMind. 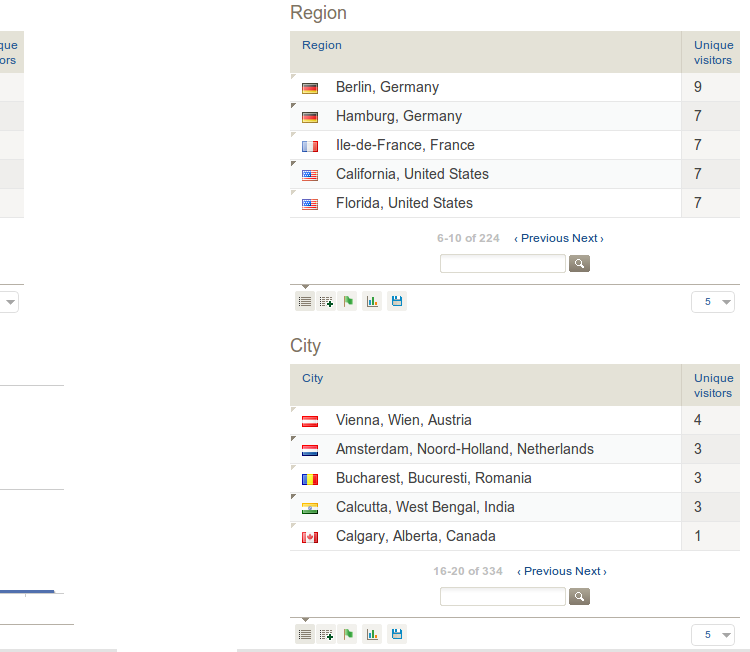 How do I get the GeoIP databases to improve accuracy of Country detection, and detect visitors’ Cities and Regions? How do I install the GeoIP PECL extension? How do I install the GeoIP module for Apache? How do I install the GeoIP module for Nginx? How do I apply accurate geolocation to old visits, after updating to Matomo (Piwik) 1.9? We’ve also made it possible to specify different range sizes when viewing evolution graphs. You can now view visits for more than just 30 days/weeks/etc. in the past. The static graphs have also be improved, with many small tweaks. 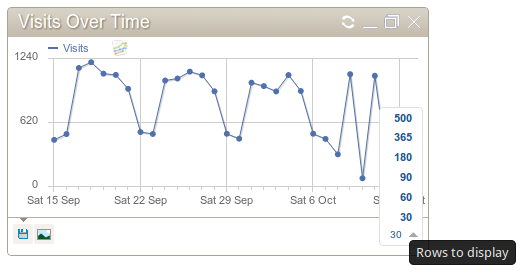 See the previous release blog post to learn how you can get these nice graphs in your email reports. Also, because we believe in Free Software that respects your freedom, we have worked with Gregor a great developer from Germany, to implement these maps in fully open source technologies SVG (click to view our work in progress ticket). Starting next version, if all goes well, Matomo (Piwik) should use 100% Free and open technologies (Bye Bye Flash!). GeoIP databases need to be updated every month. We want this to be as painless as possible for you, so we’ll be releasing a tool that will do it for you. This will, incidentally, be in time for your first update. With our focus on important new features, we didn’t have time to fix as many bugs as in our past releases. We’ll be re-focusing on squashing as many of these guys as we can for our next release. Are you a talented developer, or an amazing User Interface designer, or do you like writing documentation, or are a marketing guru? If you have some free time, if you are a do-er and not a talker ;-) and if you want to contribute to one of the most awesome open source projects, please get in touch with the Matomo team, or read this page to learn more. For the full list of changes in Matomo (Piwik) 1.9 check out the Changelog. Happy Analytics using Matomo (Piwik) 1.9!